Edgewater Pool & Spa has been providing and installing new pool equipment to customers in Glendale, CA for over 20 years. We support ALL major manufacturers including Pentair, Jandy, Hayward, Raypak and more. All installations are done with a professionalism that is unrivaled in the Glendale area. We consider your specific needs and then recommend ideal products that are a good fit for your particular system. 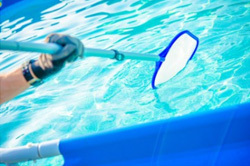 All new pool equipment purchases provide a standard manufacturer’s warranty. 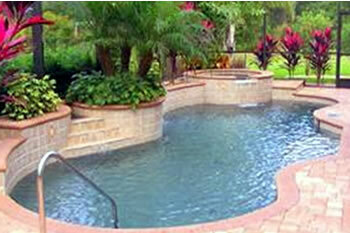 In addition, any new pool equipment we install includes a ONE YEAR WARRANTY on labor. Our goal has always been to provide the best pool equipment installation at affordable prices while achieving 100 % customer satisfaction. Being that Edgewater Pool & Spa is a locally owned and operated business, we are just a phone call or message away. Call or text us today 818-281-2355 for a FREE no-obligation quote! At Edgewater Pool & Spa, we’re committed and focused on 100% CUSTOMER SATISFACTION. We’re a team of highly trained professionals dedicated to providing the most dependable, honest and affordable pool equipment installation available in Glendale, CA. Our pros are dependable and reliable and our pride and integrity shows in our work. We know that you expect your pool equipment installer to take charge and to have the know-how to make the best recommendations for your specific system. The new pool and spa equipment installations we provide in Glendale will surely maximize your family’s enjoyment of the swimming experience.